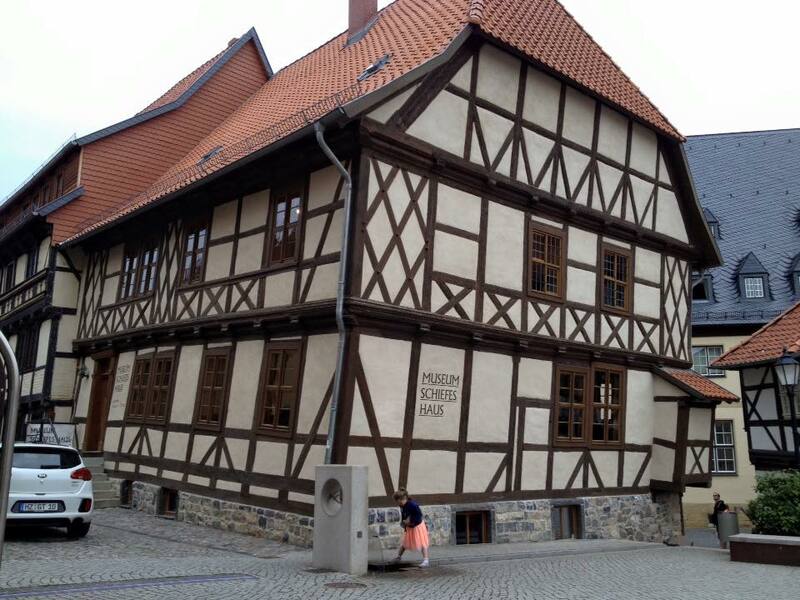 Wernigerode is at the base of Brocken and it is actually worth a visit in its own right. We had a few hours there but it was a rush and there is so so much to do. We arrived in Wernigerode after a trip up the Brocken on the steam train, We got off at Wernigerode Westerntor and it was a five minute walk to the old town square. 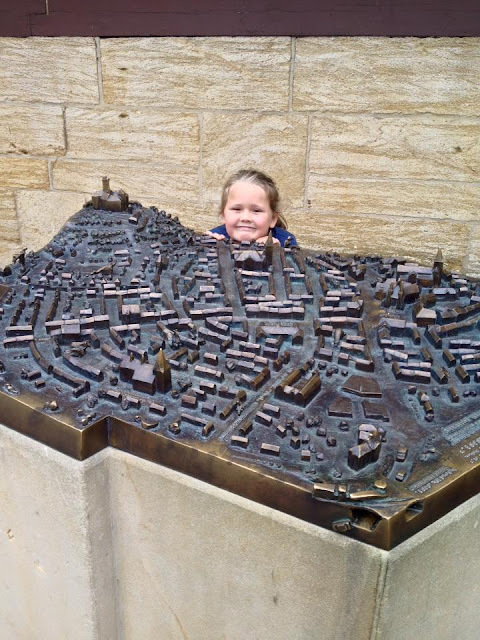 Once you are there you can find the tourist information very easily and it is in the same premises as a bank, so convenience is excellent as I knew I would need some cash here. 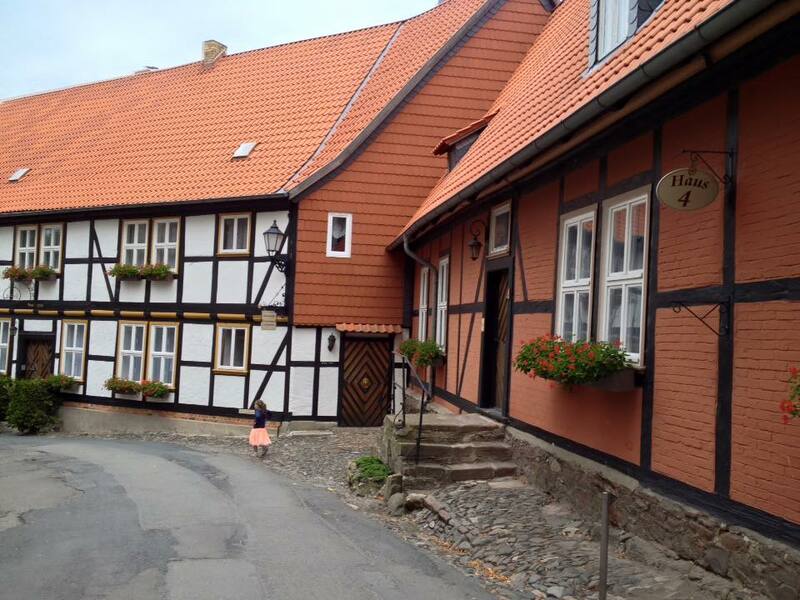 Ever since 1400 the houses in the town have been bringing charm and colourful landscape to the area. Wenigerode even holds the nickname "Bunte Stadt am Harz" which translates to "the colourful town in the Harz foothills". Wernigerode is a fascinating town with the fairy tale charm, which is what i was looking for with Tilly. 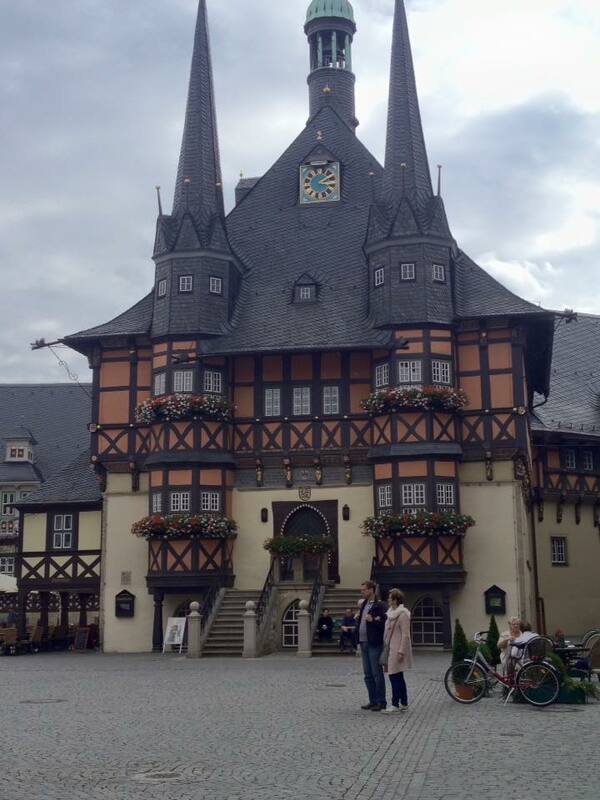 Overlooking the town is Schloß Wernigerode, it is perched on a hillside in a clearing of trees. You can see it for miles and it is a beautiful site. When you see the castles like this, you can imagine the Grimm brothers writing their stories and imagining their characters in there. 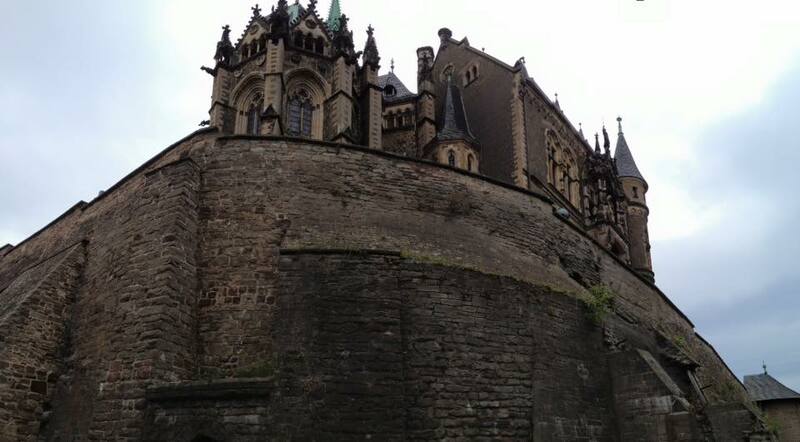 It was built in 1500's and rebuilt over the years with damage from war. In 1930, parts of the castle were opened to the public and inside the castle is beautiful. It not open everyday from October to April so please check the times on the website before you make a trip there. From Easter to October it is open everyday for tourists during the spring and summer months. It is a bit of a trek up the hillside to get to the castle, but there is a road train that goes up there. 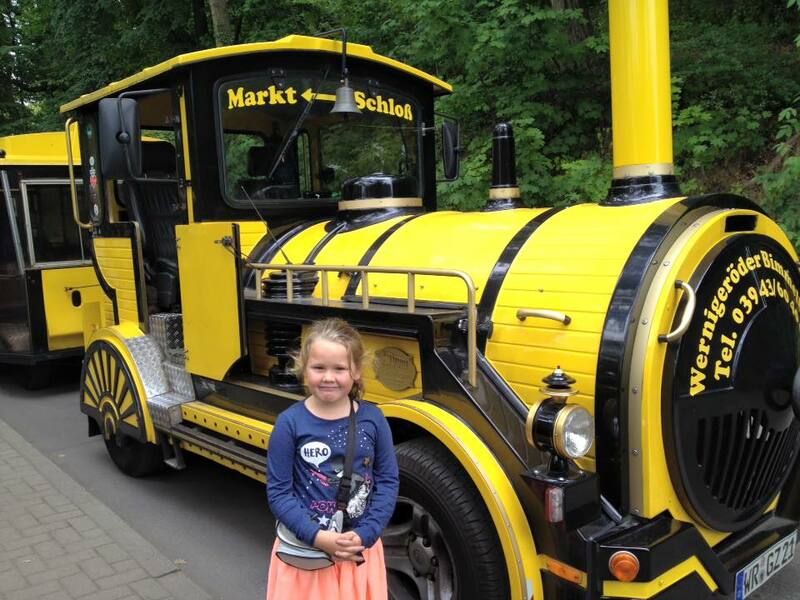 it is 6 Euro's for an adult return and 3 Euro's for a child return, you do get a little tour with the driver but as its in German, we kind of switched off. It drops you at the bottom of the castle entrance and there is a five minute walk to get to the castle door. It is quite hilly getting up there, so its worth thinking about this if you want to take the trip up there. We did walk around the castle once before we found the door to get in, we didn't realise that we had to buy tickets in the shop and then go into another door to get in the castle. The castle is beautiful and at this point I realised that Tilly really thought we were going to see a princess, she asked me which princess lived there. To which I replied (off the top of my head) It was the Beasts castle. Obviously as so much of it was dark and old, I think I got away with it and when we saw a beautiful room, we knew it belonged to Belle. Sometimes you have to tell a little lie to make your kids days special. After the visit to the castle, which by the way was a bargain at 6 Euro's for an adult. 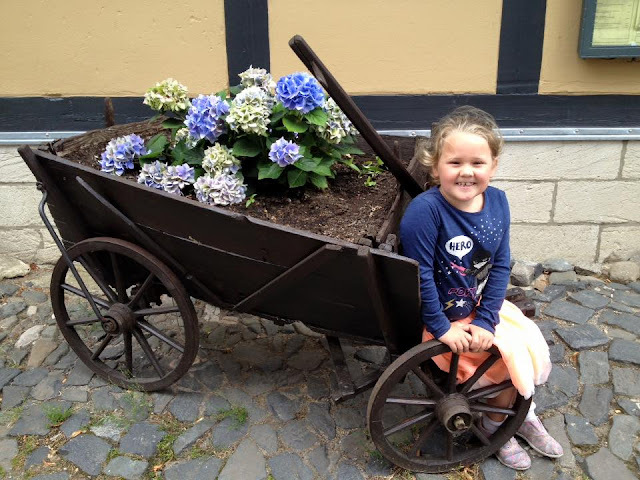 We headed back down hill to the road train and headed towards the old town square again. Once we were back in the old town square, there were so many lovely buildings to see. One that made Tilly chuckle was the wonky house, It is now a museum, but I am now quite sure how it still stands. 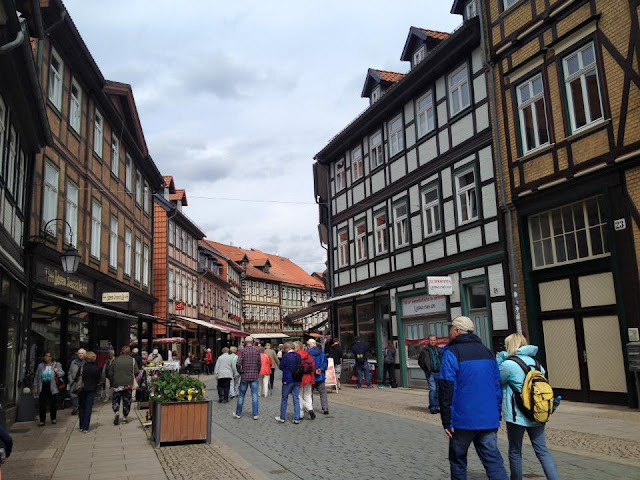 We had time for an ice cream and browse around the tourist shops before we headed back to the train station and took the train back to Goslar. A good day was had by all.